Germany, France and Britain have launched an EU-backed system to facilitate trade with Iran to help European businesses circumvent unilateral United States sanctions on Iran. Three European nations appeared poised Thursday to announce they have created a way for Iran to continue trade with them and avoid re-imposed US sanctions, two Iranian officials said, setting up a potential collision with President Donald Trump's maximalist approach against Tehran. The three countries have sought broader support for the mechanism from all 28 EU member states to show European good faith in implementing commitments under the nuclear accord and to present a united front against any retaliation from Washington. The Instrument In Support Of Trade Exchanges (INSTEX) will be registered after months of negotiations and technical talks in the wake of the Trump administration's unilateral exit previous year from the 2015 Iran nuclear deal. The Iranians have cautiously welcomed the new mechanism: Foreign MinisterMohammad Javad Zarif called it a "long overdue first step" on Twitter and Deputy Foreign Minister Abbas Araghchi told state television "we hope it will cover all goods and items". "Registration is a big step, but there is still more work to be done", British Foreign Secretary Jeremy Hunt said. 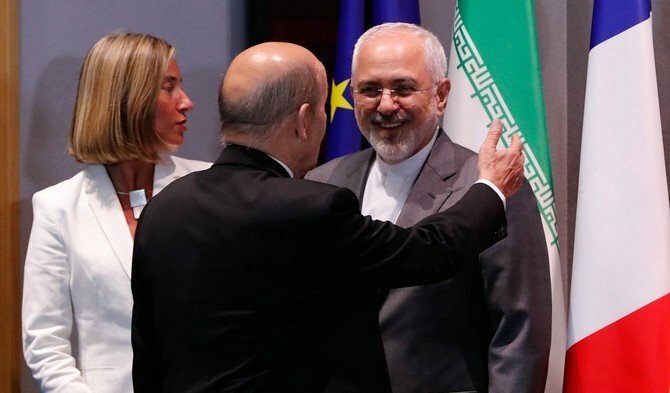 European Union member states are also finalising a joint statement on Iran to outline concerns about Tehran's regional policies and ballistic missile programme, but also to show their desire to maintain the 2015 Iran nuclear deal. Belgian Foreign Minister Didier Reynders said that despite differences over the nuclear deal, Europe shared many of Washington's concerns about Iran. Iran cautiously welcomed the news as a "first step" but United States officials dismissed the idea that the new entity would have any impact on efforts to exert economic pressure on Tehran, and fired a fresh warning at anyone thinking of trading with the Islamic republic. The Brussels-based Society for Worldwide Interbank Financial Telecommunication, or SWIFT, blocked Iranian access to the global financial transaction system shortly after America reimposed its second round of sanctions in November. The head of the country's Atomic Energy Organisation, Ali Akbar Salehi, has also repeatedly warned over the past few months that Iran's "period of patience is getting more and more limited". We do not want Iran to get out of this agreement and back into uranium enrichment. "We do not expect the [special objective vehicle] will in any way impact our maximum economic pressure campaign", a US State Department spokeswoman said. Iran has threatened to pull out of the deal unless the European powers make it possible for it to receive economic benefits. Iran hoped that signing the deal would lead to an influx of big-ticket European investments in areas such as energy, aviation, and industry, Reynolds said, while European leaders are aware that their blue-chip companies are loath to risk USA sanctions by heading to Iran. However, relations between Tehran and the EU have worsened, and the EU this month imposed its first sanctions on Iran since the 2015 deal in reaction to Iran's ballistic missile tests and assassination plots on European soil. The EU also added two Iranian individuals and an Iranian intelligence unit to its terrorist list. The U.S. government and Guaido are trying to appoint a new board of directors for Citgo. Tension climbed when Guaido declared himself interim president on January 23. In a video where Maroon 5 gets booed, WWE proclaims it's bringing back its halftime show, which only happened once before in 1999. The NFL announced Tuesday that "the artists will let their show do the talking as they prepare to take the stage this Sunday".